Posted May 16th, 2017 by Hunter & filed under Welsch Aviation News. 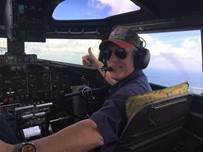 On April 21st, Southwest Schools Board Member Ed Vesely served as copilot on a B-17 aircraft at the Gulf Coast Salute Airshow at Tyndall AFB in Panama City, Florida. Mr. Vesely, Senior Sales Director at Welsch Aviation, is a seasoned pilot with 40 year’s flying experience. He is also a respected member of the Board of Directors at Southwest Schools and continuously provides valuable insight and guidance to our district. 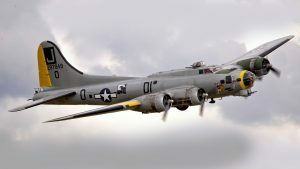 Mr. Vesely is one of the few people that are lucky enough to fly the aircraft known as “The Flying Fortress”. Primarily used as a military plane in WWII and then as a civilian aircraft for several years after, there are currently only 12 of the 12,731 originally produced, flying today.